There are some simple ways to build nice WordPress websites if you use a host like GoDaddy. There are a lot of advantages to using a WordPress site but there is also a drain on host resources. I recommend that you put each WordPress site on its own hosting plan. Conventional websites can be stacked on hosting plans. The nice thing about a WordPress site is that you won’t have to deal with moving files around like on a conventional website. Once you establish hosting you just install the application. This is much less complicated than setting up a database, and configuration file. If you have issues setting up the website you can always call their support for help. Most likely they will set it up for you. From there on out you need to come up with content for your Easy Small Business Website and you can upload the media (i.e., pictures, video) from the WordPress control Panel. If you want a new look you just upload a new theme. The nicer ones have a modest cost but many nice ones are available for free. GoDaddy’s installation procedure can be found here – https://www.godaddy.com/help/install-wordpress-834. Don’t forget to keep your WordPress site software current. Malicious users take advantage of vulnerabilities and upload content to your site for nefarious purposes. The application can be set to update automatically on some hosts. Downs Consulting recommends updating your plugins too. There may be other hosts that offer a similar setup but many are nearly as versatile to move the site if the need arises. I have an article here about the components necessary to get started. Think of websites as being composed of a the rights to the domain, the actual code and a physical place to host the code. Confused? 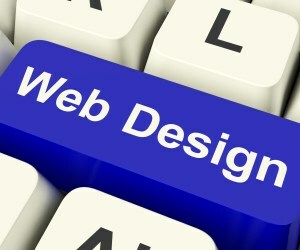 Downs Consulting can get you started and/or build the website for you.